Epitherial-like cell line established from normal kidney of dog, susceptible for many viral species. Polarized monolayers formed by epithelial cells on a permeable and translucent support. A cell strain cultured from porcine kidney increases cyclic AMP content upon exposure to calcitonin or vasopressin. 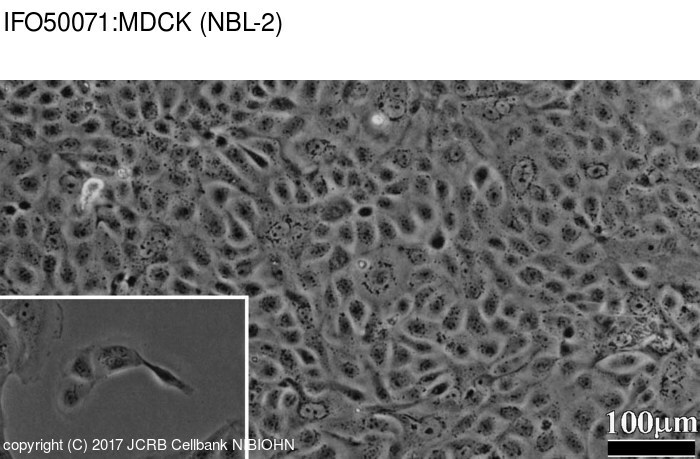 A cell line derived from normal dog kidney (MDCK) exhibiting qualities of papillary adenocarcinoma and of renal tubular epithelium. Established kidney cell lines of normal adult bovine and ovine origin. Cells were harvested after treatment with 0.25% trypsin and 0.02% EDTA for 15 min.